Observing that a company has made a sudden jump from 10 to 20 employees, or a steady climb from 5 to 50 over the course of a year, can signal an increase in revenue or traction or even an un-announced funding round. Sophisticated investors can even combine employee count trends with funding data to back into an estimate of the company’s revenue or val. But where can you find historical data on company size? Today we’re excited to introduce historical employee numbers for over 68,000 companies. 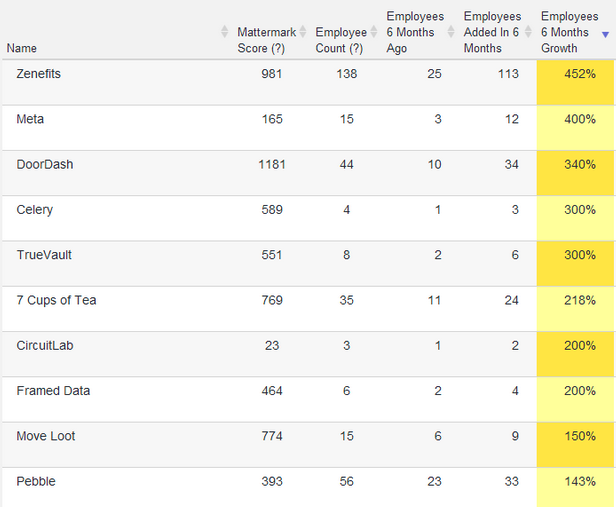 Use Mattermark to find companies that are growing their teams the most quickly, as both a rate and an absolute number. When used in conjunction with our investor, industry and keyword filters, you can quickly find exactly the companies you are looking for, such as the fastest growing Y Combinator SaaS companies that still have fewer than 50 employees. 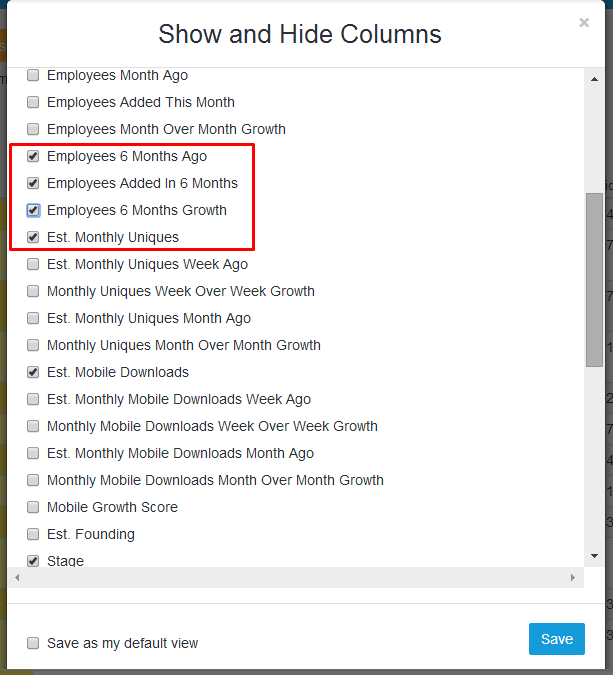 To add columns for historical employee data to your Mattermark, simply select the “Columns” filter from the All Companies page and then select the employee columns. 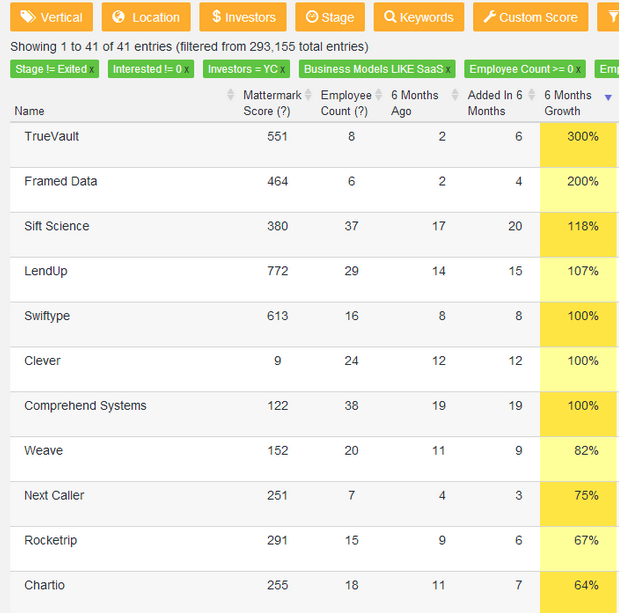 Log in today to find the fastest growing private companies, or sign up for a free 30 day trial now.